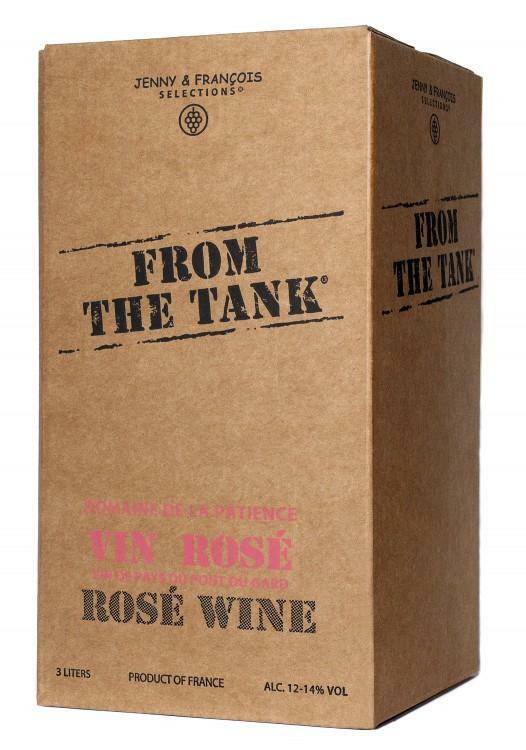 "From the Tank®" was born out of the old school idea of going to the local winery with a big empty jug to fill up with easy-drinking juice. This is a tradition that stretches back for ages in France. When we created "From the Tank®" , we were determined to source the highest possible quality grapes, grown organically and hand-harvested, made only with indigenous yeasts and lightly sulfured, just like all the other wines we work with. What we created remains to this day unique in the marketplace of wine. A wine that tastes very natural, that can be purchased at retail for the equivalent of $8-$10 per 750ml bottle, in packaging that reduces green-house emissions, and is easier to transport and serve than traditional glass bottles. 3-Liter bag-in-box is the most carbon efficient wine package & produces the least waste – with a 55% lower carbon footprint than traditional glass bottles in terms of energy needed for glass production and transportation, and 85% less landfill waste. Paperboard is easily recycled. Lighter weight means reduced fossil fuel emissions. The lightweight makes "From the Tank®" perfect for a picnic, a party, or simply to carry home and put in the refrigerator. Bag-in-boxes last up to one month once opened, if stored in the refrigerator. The vacuum-sealed pack inside the box keeps the wine fresh, so that you can drink a glass a night and avoid the waste that would come from a traditional bottle (ie regular glass bottles go bad in a few days).